Today is May 1st … what happened to April? Time is just flying by! It must be true that time flies when you’re having fun! This is one of those things that is great to make and take … it transports so easily … bake it in a 9″ by 13″ pan … cut it, cover it and go! Make the crust – Combine cake mix, oil and 1 egg until crumbly. Reserve 1 cup of crumble mixture and set aside. Spread remainder of crumbs in a 9″ x 13″ pan and pat down to form a crust. Bake at 350°F for about 10 minutes or until crust is lightly golden brown. Make the filling – Place cream cheese, juice, zest, 1 egg and sugar in a bowl, whip until fluffy and light. Spread over baked crumb crust and crumble the reserved cup of crumbs over the top. Return to oven and bake at 350°F for 25 minutes. Cool, cut into bars. Those do look yummy and pretty easy to make. Do they need to be refrigerated (because of cream cheese)? Always looking for something not too complicated, easy to transport and of course – good to the taste buds. This looks like a refreshing summer recipe. Thanks for posting. I’m going to go with what I thought and you confirmed (refrigerate), especially since I’m in hot and humid south Florida. You’re right – doesn’t pay to take chances. And…I’m thinking refrigeration is going to keep the crunch on top crunchy (yumm). hot diggety dang these look DELISH! Can never resist lemon bars. Cream cheese, yum. Well done, Brenda. Um…num! My mouth is watering with the thought of sweet tangy and creamy lemony deliciousness! Unfortunately, I don’t have all the ingredients on hand, and it’s too late to justify a trip to the store just to satisfy this craving. Alas…until tomorrow! Oh, Yummy, yummy for my tummy. 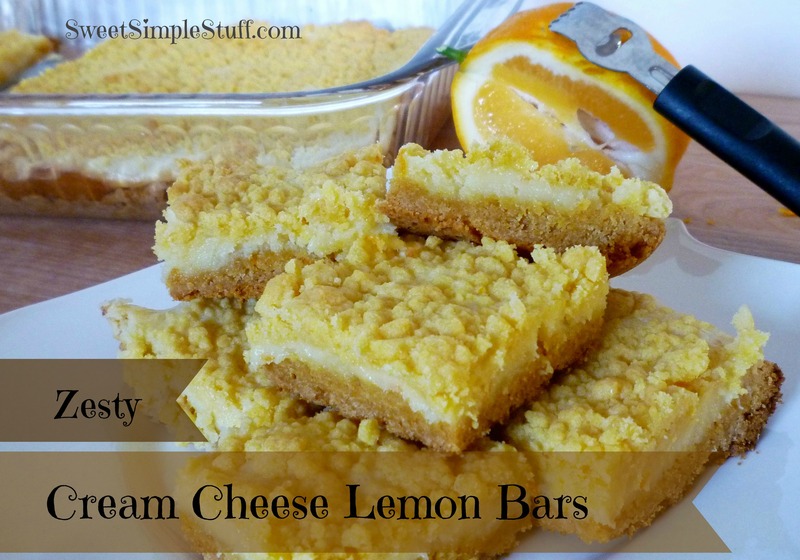 We both love lemon here on this end so by golly, I just may be making a batch of these this weekend. OMG I love these bars SO much! 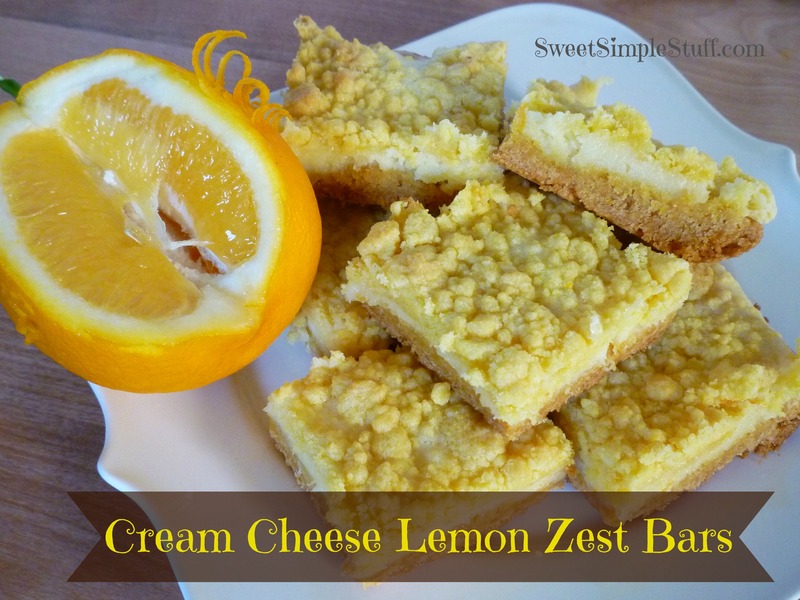 Lemon and cream cheese seem to be a winner! These bars look delicious! I love the look of the layers. Thank you Stacie 🙂 You are SWEET ! Ohhh these look delicious. I make something very similar and now I’m totally craving lemon dessert! Those bars look so good! Lemon is such an awesome and refreshing summer flavor!!! Thank you 🙂 I agree about lemon!